I have bought this new product recently and I cannot wait to share with you all about it! So, it is French again! I am obsessed! Well I truly have faith in French pharmacy products in general…… And since summer is coming and days are getting warmer and warmer, especially if you live in Asia like me! You will feel the heat is hitting us, and the sun is never good to our beautiful skin! Women concerned with brown spots, uneven complexion or dull skin tone. Restores and boosts skin’s metabolism for flawless, radiant and translucent skin. 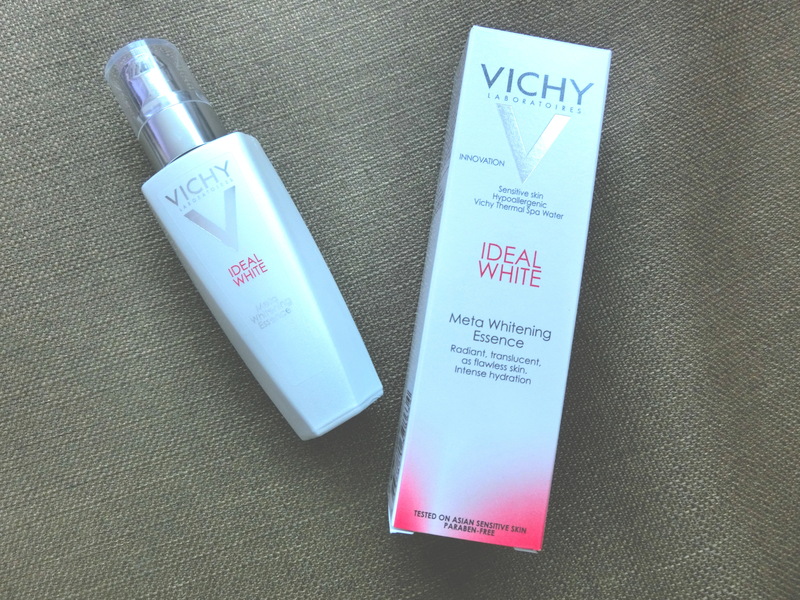 Immediate whitening effect and leaves a rosy glow. I have been using this product for the past 3 weeks, I like the product and it does work! The essence is a lightweight emulsion / liquid texture, and it is easy to absorb, so you will have no problem to layer it after your toner and before your day / night cream. So far I like the texture because of its fast absorbing, you can feel it sinks right into your skin instead of sitting on it. The result? 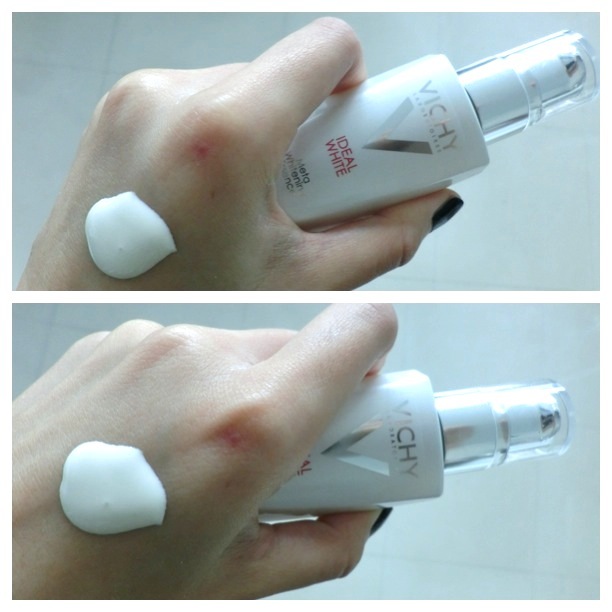 it made my skin brighter and more translucent and the sun spots I have also faded a little bit along with my complexion. The only thing I have to complain is that because my complexion got brighter and more even, my serious dark circles are now looking even darken than before. Well well well I will just have to stick to my concealer for that. And for this price, I would encourage you to try this out if you are looking for a budget whitening product. But you will have to really apply it religiously once in the morning and once at night, because this is no miracle it will take at least 2 weeks on to see the effect on your skin, but it does work. I prefer this kind of brightern / whitening product because you can tell that they are gentle on your skin, if you find a product that can give you immediate whitening effect, it is probably also harsh on your skin. Ladies, please let me know if you have any good products to recommend for whitening / brightening purpose! I also got my hands on SK2 Cellumination essence last week and I will be reviewing that shortly.